As I sneak out the back door of last year and stand on the threshold of a new year (yes…a birthday today, December 24th), I have a heart filled with gratitude and hope. I have been blessed to have this wonderful experience of sharing my writing… and with a new radio show on the horizon with the best group of supportive professionals possible. What could be better? So, let’s settle, in this case only, for a caring set of friends in a warmer climate and an occasional date. ‘Sounds good to me… I don’t ask too much of life anymore. ‘Self protection at work. With a lifetime of getting used to “subtle or not so subtle rejection” because of disability, sexual orientation or being “damaged goods” as a homicide survivor, you either develop a “hard tortoise shell” or you don’t survive. And it’s very important to retain the warm heart! As an example of not asking much… Ladyjustice has a running joke with a co-worker…. He’s a young guy of 30 with a wife and a two year old… His life was irreparably changed when his daughter was born, as he had to cross over from being the “materialistic techno this and that guy” to a husband and father now concerned with constantly picking up toys and “getting in touch with his feminine side” for the sake of his family. Ladyjustice had this tape dispenser that was also so large and lethal looking, obviously from the 1950’s that it was relegated to the “ugly duckling shelf “prior to LJ’s need. Imagine her delight when they suddenly ran out of the super duper rolls of tape that would never break off a piece when you needed one! The stockroom was recently able to provide a light weight, sleek looking new dispenser with two small rolls of tape. Ladyjustice was delighted! When Mike (fake name), needed a gift idea for his wife who has everything, Ladyjustice suggested a “nice tape dispenser” (on par with a nice mop and vacuum cleaner, no doubt!) And so it goes… Ladyjustice is happy with her new tape dispenser…. If only that new career in the warm climate was “just over the horizon,” that would be wonderful too! Fellow bloggers….thank you so much for following my journey thus far! 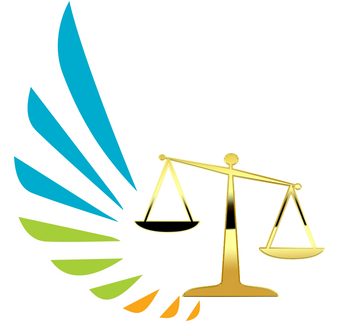 Previous When Courage Partners With Justice….Wonderful Things Happen! Next Riding in the Back Seat Long Enough?? Happy Birthday, Donna! Yes, another year under your belt, and I enjoyed the humor in your post. Gorgeous tape dispenser, BTW! I hope this is your best year ever. Maybe you will find that special someone who appreciates you exactly as you are and is worthy of you. OR, maybe you’ll find YOU are your best companion and you feel completely satisfied with your company. Either way, I’m delighted to hear you have a radio show on the horizon (do tell, I want details!). I know that you will make this year big and bold! Happiness on your special day, you are the gift so many have received. You deserve the best this world has to offer. Thanks Kay and Delilah: I may be far too comfortable with the status quo… Have to shake off the dust sometime! And Ms. Delilah…To have such compliments from two classy women.. now that’s a piece of heaven in itself! Thank You!